UNIVERSAL WIRELESS FM TRANSMITTER - This FM transmitter eliminates the need for an audio jack or Bluetooth in your car audio system - just plug it into your phone or MP3 player and turn on the radio! SIMPLE USE - Insert the 3.5mm plug into your device just as you would a pair of headphones. Turn on the transmitter and set it to an FM frequency that's not in use in your area. Set your car radio to that frequency and you'll hear the music.The transmitter will play all audio from your phone, so you can use it to make hands-free calls as well. 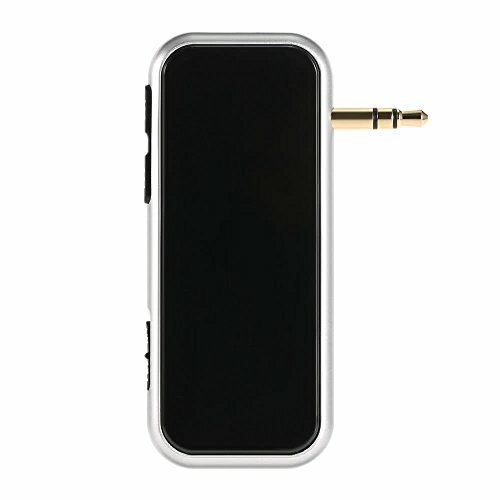 [Music & Call] Modulate the channel the same with FM channel in the car so that you can play music with your phone. Adopting DIGITAL, PLL technology, it gives a high fidelity stereo sound effect no matter during call or music.